I've not had much money to spend on shopping recently, as I'm still waiting for a start date for my new job and I'm kind of coasting along. However I have found a few little bargains to share with you and also I've found a way of getting US shades of the Maybelline Colour Tattoos! Boots are also giving out a free Showgirl Mascara (worth £5.99), which is new from Barry M, if you spend £7 or more on the line. This was convenient, as I'd forgotten to put mascara on that day and I was feeling pretty self-conscious! I chose the Extra Black Volume, but if I go back for the other nail polishes I'm after I'll get the Extra Lengthening one too. 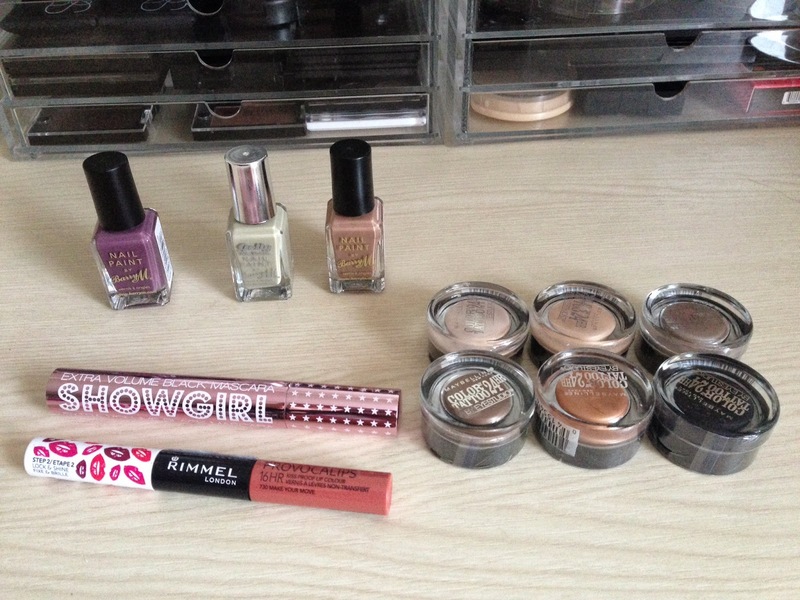 I finally managed to get my hands on a Rimmel Provocalips in Make Your Move (£6.99), a dusky pink shade. I'm interested to try this gloss-tint duo. Let me know what you think of my haul in the comments :) do you own any of my picks? Are any of them on your wish list? Great haul! I love those three nail colours you chose - they're all so pretty. I'm dying to try Apocolips - love the colour you chose! I have been wanting to try Maybelline color tattoo eyeshadows for soo long. Great post! I've heard really good things about the Color Tattoos!